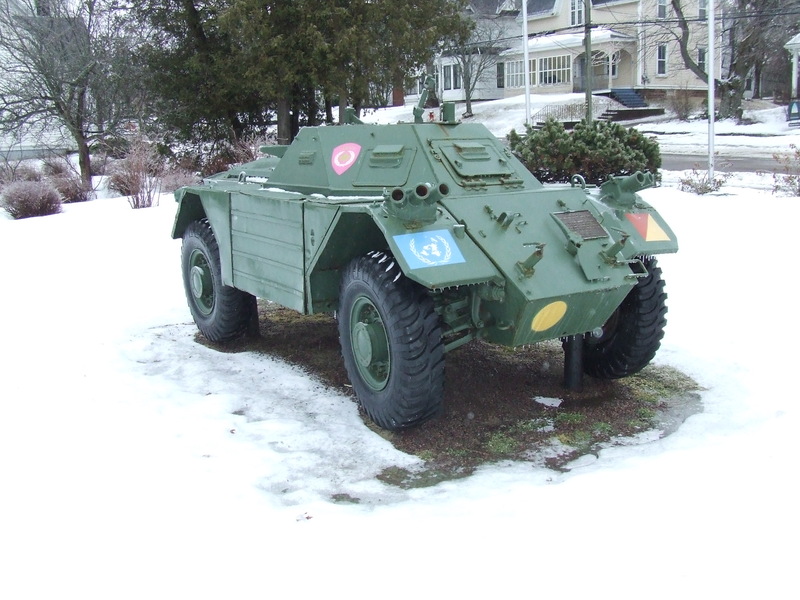 Sackville Town Council is expected to approve an agreement on Monday to accept a retired Cougar armoured military vehicle for display in the Sackville Memorial Park, which is dedicated to those who died in past wars. 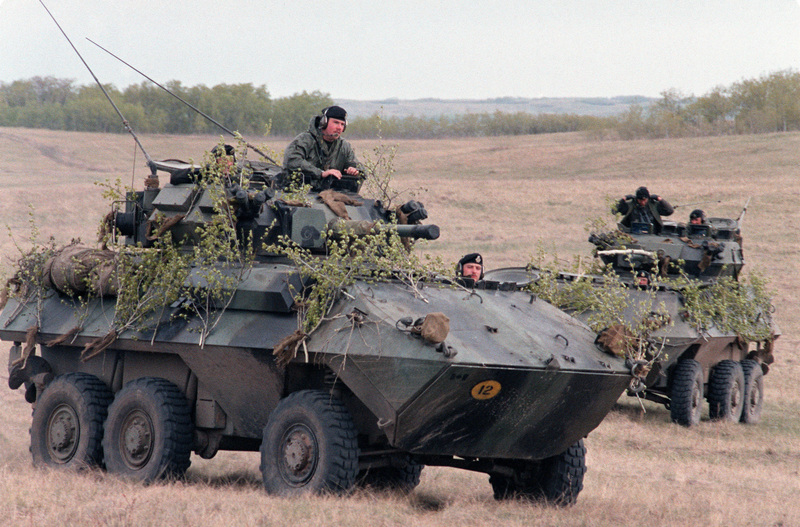 James Lockyer, honorary colonel of the 8th Canadian Hussars, told councillors at their meeting this week that the reserve armoured regiment wishes to donate a Cougar that is now in storage at Canadian Forces Base Gagetown. The Cougars, which were also able to travel on water, were in military service from 1976 until 2005. Lockyer explained that the 8th Canadian Hussars had a close association with Sackville from the regiment’s formation in 1848 until 1997 when its C Squadron based here was disbanded and the Canadian Forces armouries building on Main Street was demolished. He added the 8th Hussars regimental band was also based in Sackville. Lockyer said the regiment’s commanding officer, Lieutenant-Colonel Tom Peppard, would like to re-establish the relationship with Sackville with the gift of a Cougar. “We would be delighted if we could open up a C Squardon once again in Sackville. We would be absolutely ecstatic if we could do that,” he said, adding however, that the only thing that would prevent it would be the need to find a location to replace the old armoury. In the meantime, he said, the Cougar could serve as a symbol of the close relationship between the town and the regiment. Lockyer said the regiment would also require the town to paint the Cougar every five or six years and sign an agreement exempting the Department of National Defence from liability for any injuries associated with the display. Finally, he said the regiment would like to hold a dedication ceremony sometime in June. Councillors Bill Evans, Bruce Phinney, Allison Butcher and Michael Tower welcomed the gift, although Evans did ask Lockyer what he would say to those who might criticize placing a second, gun-equipped, armed forces vehicle in the park. Evans suggested that while he personally didn’t agree, some might call it a glorification of war. Lockyer replied that the Cougar is more of a gift from the regiment than the Canadian Forces. He added that last year he toured battlefields and visited military cemeteries in Italy where 55 soldiers from the 8th Canadian Hussars were among thousands of Canadians killed during the Second World War. Lockyer said he reflected on those deaths as he travelled to the airport at the end of his 21-day tour. “I’m in a car driving to Rome, they’re not,” he said. “I’m going to the airport, they’re not. I’m getting on an airplane to fly home, they’re not, in fact, they’re never coming home,” he added. To view Lockyer’s presentation to Town Council, click here. This entry was posted in Town of Sackville and tagged 8th, Cougar armoured vehicle, Honorary Colonel James Lockyer. Bookmark the permalink. If the purpose is to remember those who died in World War II, wouldn’t it be more appropriate for them to donate a vehicle that was actually from that era?